Internists are in a pivotal position to not only improve psoriatic arthritis symptoms but prevent the progression of the disease and its resulting joint damage, thanks to new drug therapies and more information on early diagnosis, patient education, treatment, and referral. Because joint damage with psoriatic arthritis can occur in as little as six months, the sooner the various presentations of this complex chronic, inflammatory musculoskeletal disease are recognized and treatment is set in motion, the more likely it is that the new therapies will make a difference. But internists used to having few options may not be thinking of psoriatic arthritis. “In the past if we didn't make the diagnosis there wasn't much to do about it anyway,” said Mark Lebwohl, MD, Waldman Chair of Dermatology at the Icahn School of Medicine at Mount Sinai Health System in New York and author of an In the Clinic section on psoriasis published in the April 3, 2018, Annals of Internal Medicine. “Now we can prevent the progression of joint disease … and the internist is the first doctor patients see complaining of joint pain,” he said. The recently published 2018 American College of Rheumatology/National Psoriasis Foundation Guideline for the Treatment of Psoriatic Arthritis recommends using tumor necrosis factor inhibitor (TNFi) biologics as first-line therapy for treatment-naïve patients with active psoriatic arthritis rather than disease-modifying antirheumatic drugs (DMARDs) or oral small-molecule drugs, unless they are contraindicated or the patient prefers an oral medication or is concerned about specific side effects. The new therapies are based on better understanding of underlying immunopathogenesis and cytokine signaling, said Abhijeet Danve, MBBS, MD, FACP, rheumatologist and assistant professor of clinical medicine at Yale School of Medicine in New Haven, Conn. According to the National Psoriasis Foundation, up to 30% of the more than eight million Americans with psoriasis will develop psoriatic arthritis. While psoriatic arthritis can start at any age, it often appears between ages 30 and 50 years and usually within 10 years after psoriasis begins; about 85% of patients with psoriatic arthritis may have psoriasis first. Some patients present with joint pain first. As a systematic inflammatory condition, psoriatic arthritis is associated with significantly increased risk of cardiovascular disease, including myocardial infarction and stroke, diabetes, hypertension, and metabolic syndrome. Thus, internists can play a critical role in promptly identifying and treating these comorbidities by advising lifestyle modifications and pharmacotherapy, Dr. Danve said. “The role for the internist now is more important because early diagnosis matters,” said Dr. Lebwohl. Psoriatic arthritis can be challenging to diagnose and treat because of its heterogeneous presentation, which can then be complicated by other conditions such as irritable bowel disease or diabetes, said the guideline. According to the National Psoriasis Foundation, up to 15% of people being treated for psoriasis could have undiagnosed psoriatic arthritis. There are some clues and screening strategies. First, psoriasis—which internists often feel comfortable managing—is a red flag, said Ana-Maria Orbai, MD, MS, director of the psoriatic arthritis program and assistant professor of medicine at Johns Hopkins Medicine in Baltimore. 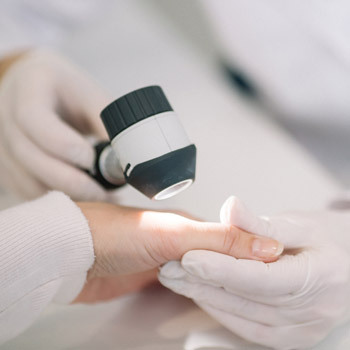 Two screening tests that may be helpful are the Psoriasis Epidemiology Screening Tool (PEST) questionnaire and the Early Arthritis for Psoriatic Patients (EARP) questionnaire, said Dr. Orbai. She said the PEST screen is so quick patients can even complete it at home or in the waiting room. Those answering the questions positively have a high probability of having psoriatic arthritis, she said. Or, if administering a screening test is too cumbersome, “A simple musculoskeletal exam to uncover red flags would be sufficient,” she said. Laboratory and other tests are not able to identify psoriatic arthritis, but they can add to the evidence, said Dr. Orbai. A blood test can exclude rheumatoid arthritis, and an X-ray of the hands and feet can look for a baseline of prior damage consistent with psoriatic arthritis, she noted. Just making patients aware of psoriatic arthritis can help diagnose it. Otherwise, patients may misconstrue a negative blood test as negative for psoriatic arthritis or attribute their scaly skin to eczema and not follow up with their physician, Dr. Mehta explained. Internists may like to treat patients with mild psoriatic arthritis with NSAIDs to reduce pain and swelling, said Dr. Raychaudhuri. However, ideally psoriatic arthritis patients should be treated with the broader goal of preventing joint destruction, so they should be referred quickly, within a few weeks, to a rheumatologist with psoriatic arthritis expertise, he said. For example, Dr. Mehta told the story of a patient, a deli owner in his 50s, who had psoriasis and reported that he couldn't make sandwiches anymore because his fingers were deformed. He had seen physicians for five years and was never told his hand pain could be psoriatic arthritis. Dr. Mehta did a scan and found psoriatic arthritis throughout the patient's body. Dr. Orbai said rheumatologists will consider many factors in devising the treat-to-target approach, recommended by the new guidelines, in which treatments are oriented toward achieving a well-defined result. Those include severity of disease as well as the impact on the patient's quality of life and daily activities, employment, comorbidities, and treatment access issues. The guideline also notes the need to be aware of costs beyond those associated with the new medications themselves, such as traveling to more frequent appointments for monitoring. 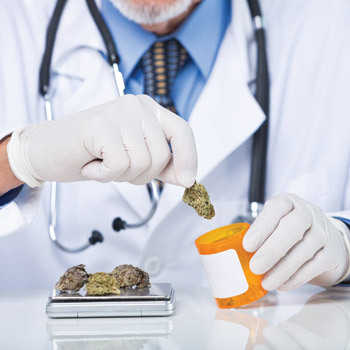 While internists may not be making specific drug treatment decisions, knowing the options will help inform their conversations with patients, said Jasvinder A. Singh, MD, MPH, lead author of the guideline and professor of medicine and epidemiology at the University of Alabama at Birmingham. “Internists may not have used the therapies, but having the [guideline] providing the scenarios and choices raises interest and excitement … before the patient sees the rheumatologist,” he said. The guideline recommends starting therapy with TNFi biologics and trying a different one if the first doesn't work rather than switching to an IL-17 or an IL-12/23 inhibitor biologic agent. Patients with active psoriatic arthritis despite oral small-molecule therapy should switch to a biologic rather than trying a different oral small-molecule drug, the guideline states. If TNFis don't work or are contraindicated or if the patient has severe psoriasis, moving to an IL-17 or IL-12/23 biologic is recommended. The guideline details how and when to use specific drugs rather than others based on the patient's history and other conditions (e.g., an oral small molecule over a TNFi in a patient with frequent serious infections). However, that trajectory is not always possible. First, as the guideline acknowledges, patients may prefer an oral medication over biologics, which are given as injections or IV infusion, Dr. Lebwohl said. Second, because some of the newer medications are very expensive, Dr. Danve said insurance companies require him to see if a patient will respond first to an older drug like methotrexate. As a result, Dr. Danve said a patient's typical trajectory might include a trial of methotrexate, followed by adding a TNFi inhibitor (e.g., etanercept, adalimumab, certolizumab, golimumab, or infliximab). If the patient does not improve, he would switch to a different TNFi before trying an IL-17 inhibitor. Patients responsive to one TNFi may suddenly find it less effective after a few years. Dr. Orbai said switching often does the trick. “About 60% will respond to the new medication,” she said. Long-term remission is possible, she said, and for those patients she considers reducing medication therapy. To monitor that journey with all the associated risks and benefits of the new medications, Dr. Singh said patients with psoriatic arthritis should not only see their rheumatologist every two to three months but should also see their internist regularly. The internist can monitor the potential side effects of some of the medications, which include skin infections, urinary tract infections, pneumonia, bronchitis, tuberculosis, and Crohn's disease. Methotrexate increases the risk of liver disease, which needs to be monitored, especially if the patient is taking a statin, Dr. Orbai said. In addition, patients with psoriasis and psoriatic arthritis are at higher risk of fatty liver and cirrhosis because of the disease itself, Dr. Danve said. Because biologics can increase risk for other conditions, Dr. Orbai said patients need to be up to date on their yearly dermatologic screening, colonoscopy, and vaccines (e.g., flu, pneumonia, and zoster). The excitement about new drugs for psoriatic arthritis is likely to continue: More drugs are in the pipeline that will be available in the next few years, according to Dr. Lebwohl. “Some of the best drugs are coming,” he said. Dr. Raychaudhuri said he is very optimistic about research on the use of small-molecule drugs to target intracellular signaling pathways. Because the small organic molecules will act against the cell-signaling system associated with the disease process of psoriatic disease, the drugs are expected to be more efficacious than the conventional synthetic DMARDs and a possible option for patients who cannot tolerate biologics or in whom biologic treatment has failed, he said. Because psoriatic arthritis is a multisystem organ disease with implications for other aspects of patient health, internists should monitor for and manage comorbidities, said Dr. Raychaudhuri. He discussed the association of psoriatic arthritis with increased cardiovascular risk, hypertension, depression, and reduced quality of life in a 2012 article in the Journal of Rheumatology. “We cannot change the psoriatic arthritis but we can … control lipids, optimize blood pressure, increase weight loss, and thus decrease the disease activity of psoriatic arthritis,” said Dr. Orbai. Internists are also key in addressing smoking cessation. The new guideline notes that smoking reduces the efficacy of biologics and is associated with other negative health impacts. Internists also can address pain management, which can remain a problem even after inflammation from the psoriatic arthritis is adequately controlled, Dr. Danve said. The guideline recommends patients with active psoriatic arthritis use some type of nonpharmacologic intervention. For example, physical therapy is important for those with psoriatic arthritis in the spine (spondylitis) and for those with tendon damage to strengthen surrounding muscles and maintain range of motion, Dr. Orbai said. The guideline also said there may be a role for other nonpharmacological interventions, such as massage or acupuncture. Anything that relieves stress, such as mindfulness, can help since stress affects flares of joint pain for some patients, according to Dr. Orbai. Dr. Danve noted that yoga and meditation also may be helpful. While ultraviolet phototherapy can help psoriasis, it does not have a role in treating psoriatic arthritis, noted Dr. Lebwohl. Depression often accompanies psoriatic arthritis because the condition is chronic and affects daily living, said Dr. Raychaudhuri. While alleviating the psoriatic arthritis may lessen this, so too will psychological support and group therapy, he said. An ideal approach would be a comprehensive total care program that includes exemplary care of joints, skin, and associated comorbidities, he said. More advice is on its way: The European League Against Rheumatism is updating its psoriatic arthritis guidelines, as is the Group for Research and Assessment of Psoriasis and Psoriatic Arthritis, according to Dr. Orbai. And Dr. Singh's excitement over the new guidelines—and what's likely to happen sooner rather than later—is palpable. Paula S. Katz is a freelance writer in the Chicago area. Lebwohl M. Psoriasis. Ann Intern Med. 2018;168:ITC49-ITC64.